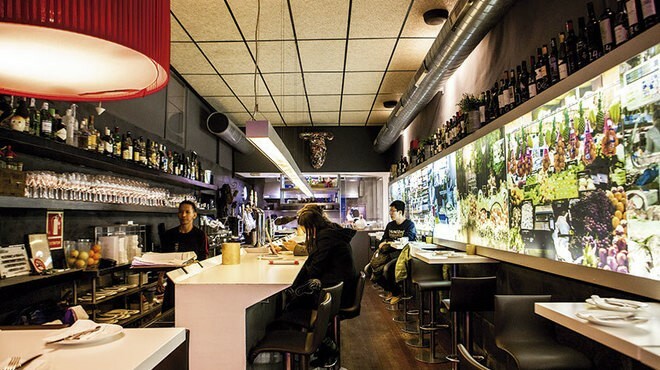 As the name suggests, Tapeo is a tapas restaurant where you can enjoy some tapas. There you will be able to sample a wide variety of tapas,from the classics to the more elaborate,using old recipes. 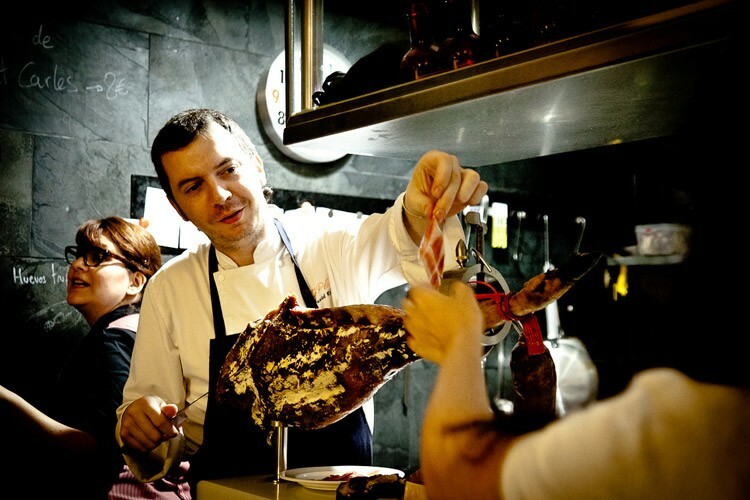 The restaurant was opened in 2010 by Daniel Rueda and his wife, Natalia Ferran. It is located in the Born district which has established itself in recent years as one of the most popular entertainment areas in Barcelona. Tapeo is a place of tapas-worship that welcomes you with a long bar and a modern and original decor. In addition to the long bar that runs from the entrance to the back, the restaurant has a few high tables and one large table (10 seats). 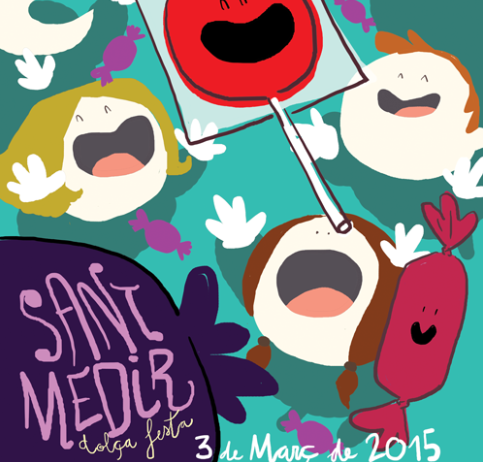 Daniel Rueda combines, in front of his guests, tradition and creativity with the best market produce. The result is simply excellent. If you drop into Tapeo, it will be Natalia, his wife, who welcomes you and recommends the seasonal specialities on their menu. Both of them will be delighted to share with you their little dishes and all the charm of Barcelona’s Born neighborhood. 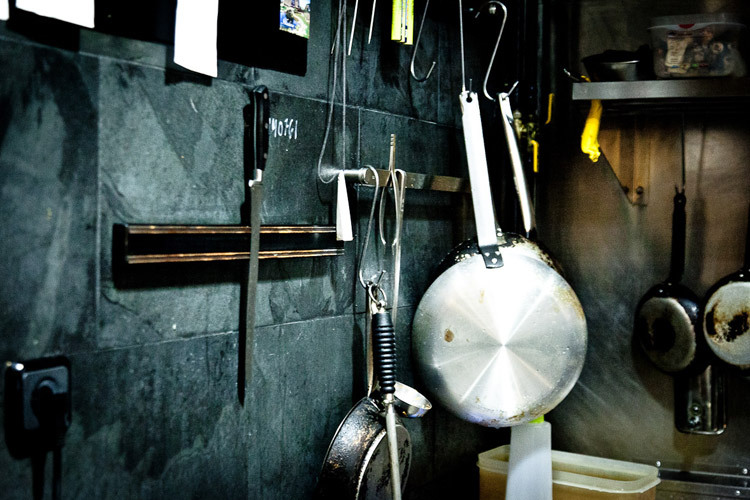 Located in the back of the space, the open kitchen looks like a market stall. There, the chef creates his wonderful repertoire of tapas, from the most popular and traditional to the most creative ones. There is a young team of highly motivated people, with a huge passion for cooking and for the produce of the land. For them a dish begins to be savoured before it hits the mouth. Which is why it’s not just how it’s made that’s important, but also its final presentation. You should try it! Their tapas: Meatballs with cuttlefish stew, Lettuce, fruit and parmesan salad, “Bombeta” Meat and potato, Veal burguer with foie gras and mayo ceps, Roast sausage and wild mushrooms cannelloni, Sweetbread with wild mushrooms, marrow and figs, Truffled eggs with foie gras and mushrooms, Tomato, burrata cheese and balsamic vinager, Glazed beef cheek stew, “Croqueta” Jabugo ham croquette, Salmon and wasabi potato salad, Fried whitebait, “Coca de sardina”, Cod fritters, Moroccan lamb skewer with mint yoghurt, “Fideuá” black catalan cuttlefish pasta, Chocolate cream with bread, salt and olive oil, Bread pudding, Piña colada,etc.. If you want to try some more elaborate tapas,prepared with the best market produce,we highly recommend you Tapeo! Address:the Born neighbourhood of Barcelona, at Carrer de Montcada, 29.